There’s irrevocable in the dictionary, and then there’s irrevocable in the law. The two are not the same thing at all, and for that, some people are quite grateful, according to a recent article in Forbes magazine. “You need to ask, ‘Does this trust still make sense?’” Kenneth Brier, an estate lawyer in Needham, Mass., was quoted as saying. Irrevocable when it comes to trusts doesn’t necessarily mean that at all, the Forbes piece points out. 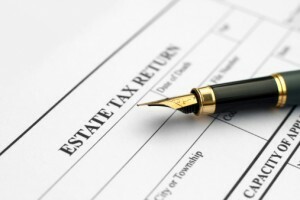 “It’s often possible to terminate a supposedly ‘irrevocable’ trust” according to the article. “One common situation involves a bypass trust. In a typical estate plan, when the first spouse dies, assets equal to his exemption from federal estate and gift taxes are placed in this trust. The widow has access to the earnings and if need be the principal, but at her death the trust assets bypass her estate and go straight to the kids. The point is to preserve the husband’s exemption from estate tax. It made sense for a lot of families when the amount exempt from federal estate tax was $675,000 per person in 2001 or $2 million in 2008. Fortunately, Forbes indicated, most bypass trusts allow the trustee to distribute assets in kind to a widow if the trust is $100,000 or less or if, and this is key, it no longer makes economic sense. In other words, if the fees are higher than the value of keeping the trust intact, a trustee can essentially revoke it, or be forced to do so. “If the trustee won’t go along you can petition a judge to terminate the trust,” the article concluded.